There are many forms of serious injuries that can occur as a result of an accident. While many of these injuries will heal in time, some result in permanent disabilities. Victims who become permanently disabled through no fault of their own often experience anger, frustration, fear, and uncertainty as they look to the future. 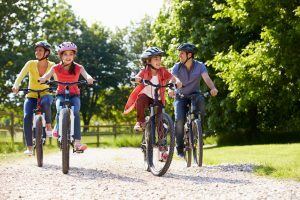 Fortunately, victims of such accidents may be entitled to financial compensation through a successful personal injury claim. If you are in a similar situation, you do not need to fight these legal battles alone. The permanent disability personal injury legal team of The Law Offices of Michael P. Burakoff has over 35 years of experience serving victims across Morris and Sussex County communities including Morristown, Newton, Chatham, Florham Park, Roxbury, Parsippany, Dover, and all of Northern New Jersey. Attorney Burakoff believes in keeping clients and their families informed and involved throughout the personal injury claims process. By taking the time to fully understand your needs and concerns, we are able to offer effective and highly individualized legal services. Please call our Newton office or our Morristown office today for a free and confidential consultation regarding your permanent disability as a result of a motor vehicle accident, work related accident, construction accident, or any other kind of accident. What Types of Injuries are Considered Permanent Disabilities in New Jersey? 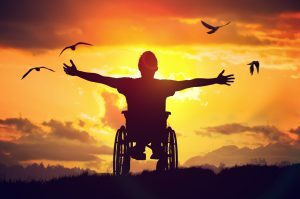 For those who are determined to be permanently disabled, it may be possible to recover financial compensation through social security disability, workers’ compensation, and/or a personal injury claim. It is important to understand that these three matters will be considered separately, and each may apply differently given the exact nature of your circumstances. Within a personal injury claim or workers’ compensation claim, New Jersey statutes define permanent disability as any illness, injury, or other medical condition which prevents the individual from working and/or performing other tasks. These disabilities are not expected to resolve themselves with or without medical treatment. Examples of injuries which have the potential to lead to permanent disability include brain injuries, spinal cord injuries, paralysis, and much more. 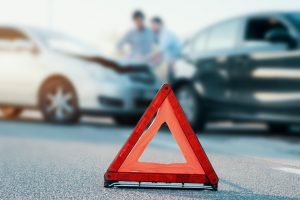 Economic damages – a certain percentage of the financial compensation to which you may be entitled will be to reimburse you and your family for past, present, and future incurred expenses. Economic damages commonly include doctor’s bills, hospital bills, lost wages, incidental expenses, personal care, rehabilitation costs, etc. As per the previous section, your Newton permanent disability personal injury lawyer may seek economic, non-economic, and punitive damages within your personal injury claim. It is important to understand that with a permanent disability, the results of your case may have to last you and your family for the rest of your lives. For this reason, pay-outs for personal injury claims involving permanent disability tend to be substantial. 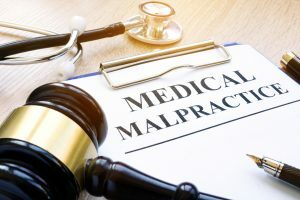 Assuming there are no punitive damages awarded for your claim (such damages are relatively rare), the largest percentage of your compensation will likely come through considerations for pain and suffering. Pain and suffering damages are generally calculated using your incurred medical expenses, multiplying that figure by a number between one (1) and five (5), and calling it a day. With permanent disability, this number can grow even higher. This is due to several factors, not the least of which is that your pain and suffering may continue on for the rest of your life. This is reflected by multiplying factors being in excess of five (5) in some cases. Additionally, your medical expenses may continue on for a lifetime as well. This will be baked into your pain and suffering calculation and has the potential to lead to exponentially larger payouts. Permanent disability personal injury attorney Michael P. Burakoff takes pride in serving clients from local Sussex and Morris County towns including Netcong, Denville, Roxbury, East Hanover, Mt. Olive, Andover, Chatham, and across Northern New Jersey. Since 1976, Attorney Burakoff has been protecting the legal rights of victims while fighting for full and fair financial compensation through personal injury claims. Our client-first mentality has led not only to innumerable successful verdicts and settlements, but also to satisfied clients who refer our firm to their family and friends in need. If you are looking for a personal injury attorney who delivers high quality legal service while addressing your individual needs and concerns, look no further. To speak with Michael Burakoff in a free and confidential consultation regarding your permanent disability and your personal injury case, please contact us online or give us a call through either our Morristown office or our Newton office at (973) 520-0525.